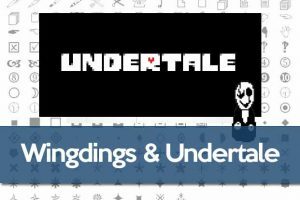 Undertale is an indie RPG game developed by Toby Fox, along with the artistic contribution of Temmie Chang, using the software Game Maker Studio. It was released for Microsoft Windows and Mac OS X on September 15, 2015 and to date, it has achieved incredible acceptance by the public. Long ago, two races reigned on Earth: Humans and Monsters. One day, war broke out between the two races and after a long series of battles, the humans won. The best and greatest human mages sealed the monsters underground, using a magic barrier. Several years after the war, in 201x, a human infant climbed Mount Ebott for unknown reasons. There is a saying that those who climb Mount never return. The protagonist (it is never specified by Toby Fox and there is no term to date to refer to a transgender, it can be called feminine, masculine or non-binary) discovers a huge opening in the mountain and falls inside the cave. This is where the player’s adventure begins. He was the royal scientist before Alphys and was the one in charge of the creation of the Core. Gaster’s followers convey different explanations of what happened to Gaster. One iteration says that “it fell into its creation,” others say that “his experiments went wrong,” and some say “it broke through space and time.” Characters such as the River Person and Gaster’s Followers suggest its existence. The player cannot fight or interact with Gaster but there is a fangame called Unitale where you can fight him. When some of the characters in the game speak, a particular font is displayed on the screen for their speeches. The character Sans speaks in “Comic Sans”, while Papyrus speaks in “Papyrus”. W.D. 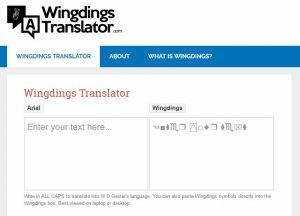 Gaster’s font is Wingdings, hence his name “W.D” from Wing Dings, so some speculate that his full name may well be Wing Ding Aster. 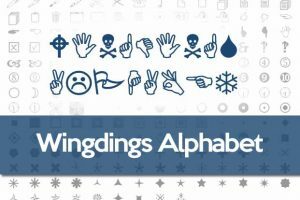 Wingdings is a typeface of consisting of dingbats, which render a variety of symbols. They were originally developed in 1990 by Microsoft by combining characters: Lucida icons, arrows, and licensed stars of Charles Bigelow and Kris Holmes. 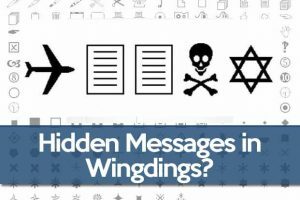 How can we read / write Wingdings? Use the Wingdings Translator on this website. You can translate to and from English and W.D. 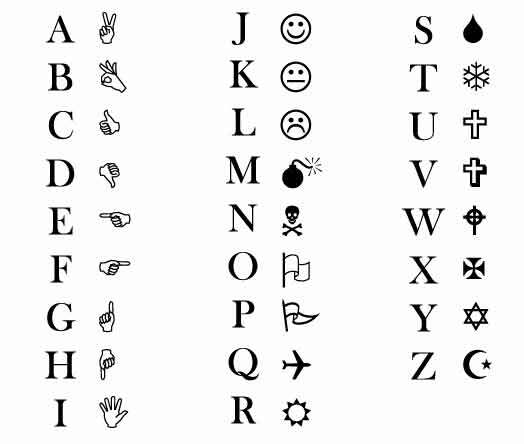 Gaster’s language (Wingdings). Keep in mind to write in Uppercase to get the same symbols as Gaster uses. 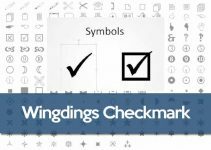 To use the English to Wingdings Converter tool, simply enter the text you want to translate in plain English, into the first box. 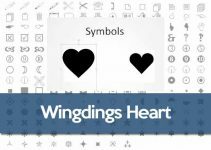 The text will automatically appear translated into Wingdings on the second box. It is presumed that W.D. Gaster is a combination of the words “Wingdings” and “Aster”. Curiously, while Aster is a typography, it is also a suffix used in botany referring to “denoting incomplete similarity” between two similar plants. “Aster” (full name: Asteraceae) is also a family of flowers that includes daisies, sunflowers and buttercups, Flowey-like flower types. “Gast” in Swedish (plural: Gastar) is a term referring to a type of ghost (Thanks to this, you could say that it is a spirit or a ghost. In the videogame’s Kickstarter, Toby put in the money goal that if the game reached $ 12,500 USD. There would be a Secret Boss, probably in the beta of the game this was going to be Gaster, but probably this was changed by Sans on the Genocide Path of the game. Until version 1,001, it was impossible to find this character unless the game data was altered, changing the word “fun” to “Fun”. Now it is possible to find it at random (like its followers) and to be able to access the room where it is in Waterfall. 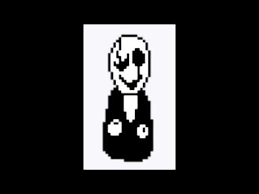 Several theories assert that Gaster could be the father of Sans and Papyrus by the fact that the pixel of this one seems mostly a skeleton and by the indirect interactions of Sans with the science. Others, who is the elder brother. Among the theories also finds one that establishes that he is the true villain of Undertale.